Hello my beautiful readers, based on the title above, i'm gonna review some korean and chinese product that i bought. so, basically, i just bought some products, and they are korean product. except for this one eyeliner that i bought, which is chinese brand. 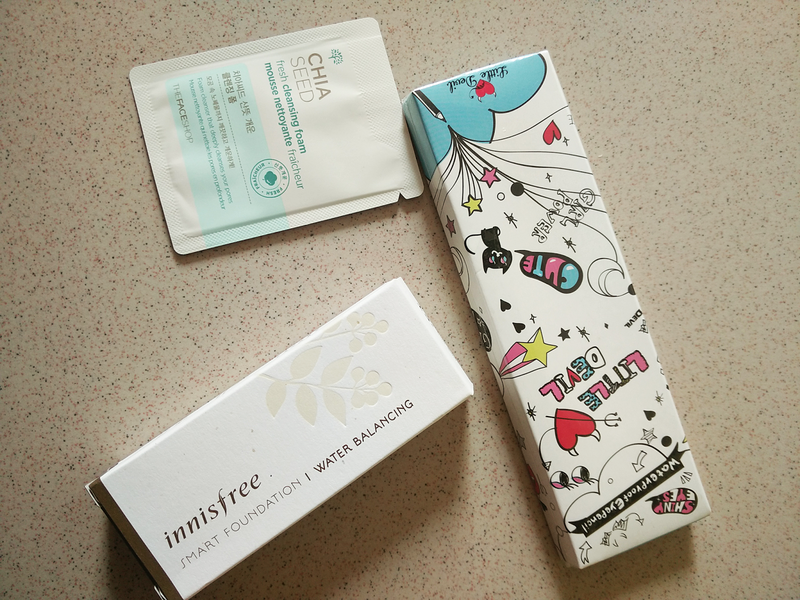 And a freebies, which is a packet of moisturizer from Chia Seed. 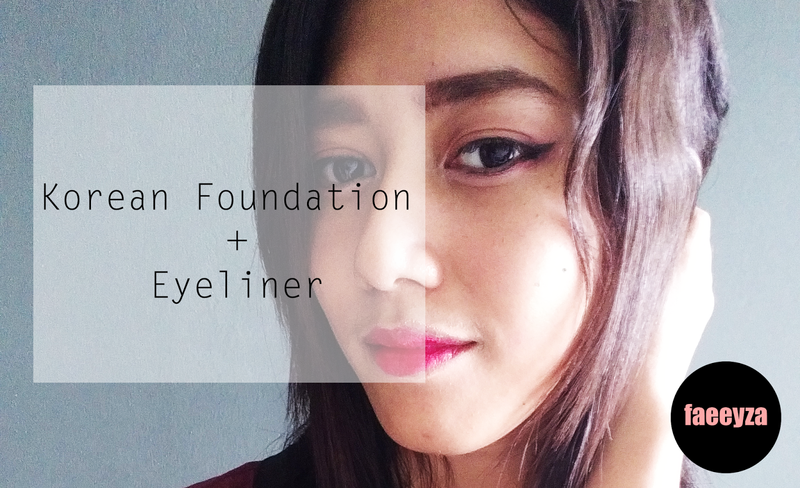 First of all, i kinda feel unsatisfied and disappointed with the black eyeliner that i've bought recently. I want a black WATERPROOF eyeliner. The packaging and ads stated that it's a waterproof eyeliner. But when i tried the products, it smudges! 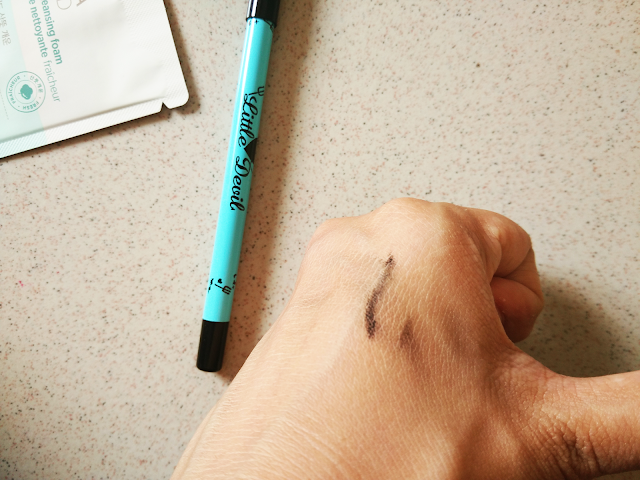 Waterproof eyeliner shouldn't smudges. So yea, i'm kinda felt disappointed. 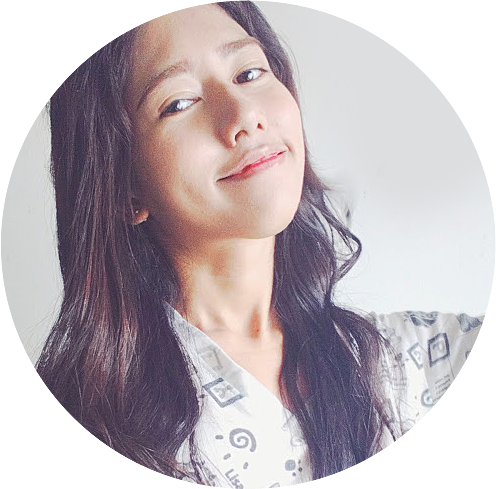 However, i'm kinda satisfied with this korean foundation by Innisfree. It's really organic, and nice. Of course we would want a product that have less to zero chemicals. 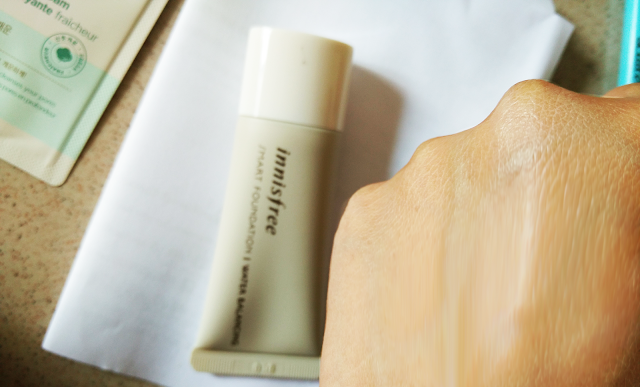 Well, Innisfree is the right choice if you are looking for eco-friendly product! This foundation could cover my acne, and blemishes, and the most important thing is, it won't make our skin looks cakey! i've tried it, and i'm satisfied!